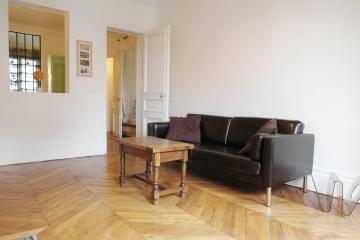 Charming Paris one bedroom apartment rental located in the wonderful Le Marais district close to Saint Paul and Place des Vosges. The flat is situated on the groundfloor on a quiet courtyard. 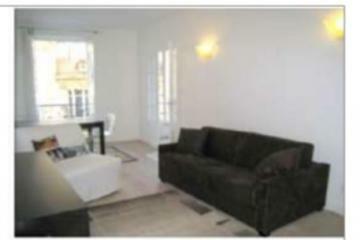 It has been totally renovated and tastefully decorated with quality equipement and furniture. 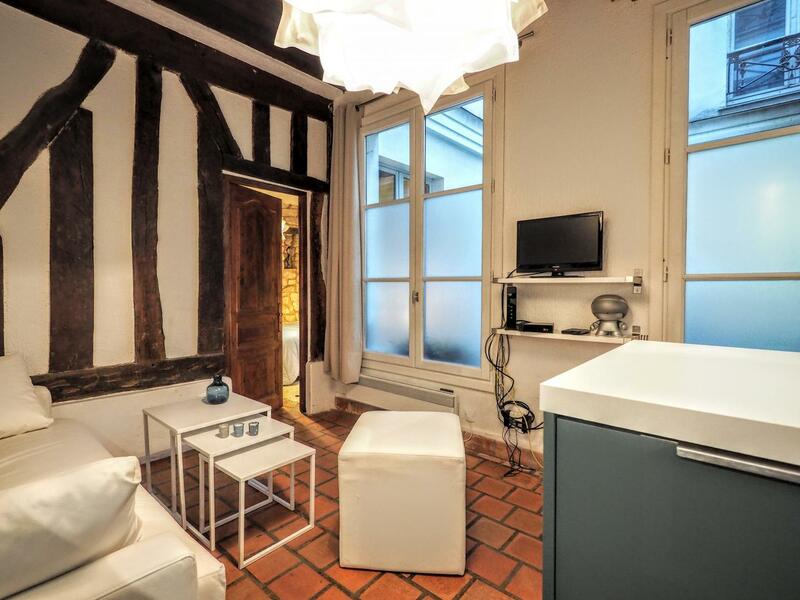 The living room offers high celling with beautiful wooden beams, a comfortable leather sofa, a TV and a fully equipped kitchen corner (oven, dischwasher, Nespresso). 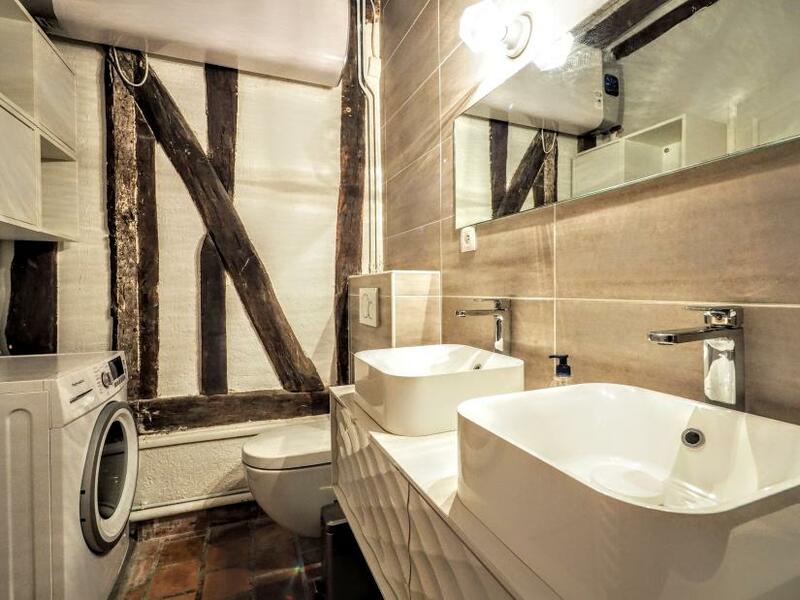 A wooden door leads to a spacious bedroom with a king size bed and a large cupboard and to the bathroom offering an italian shower, 2 sinks and a washing machine/dryer. 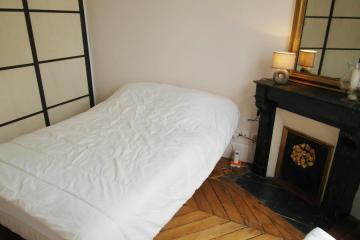 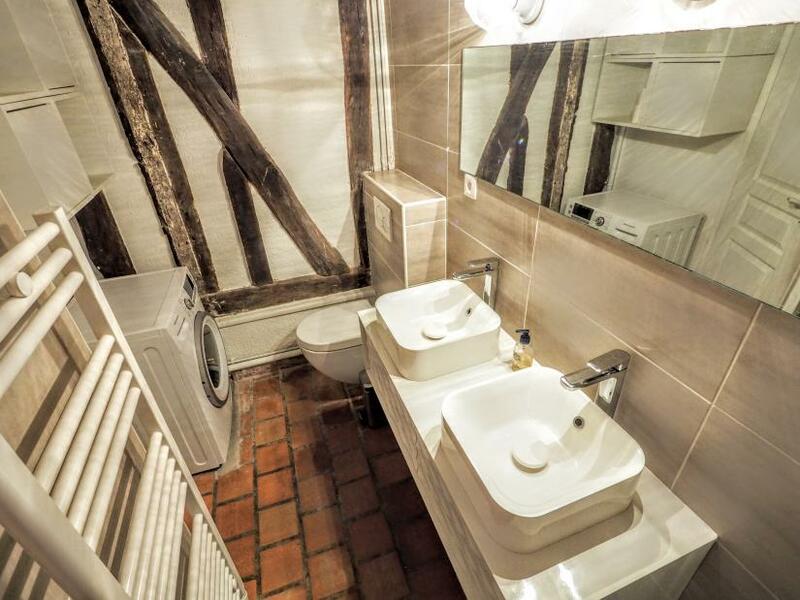 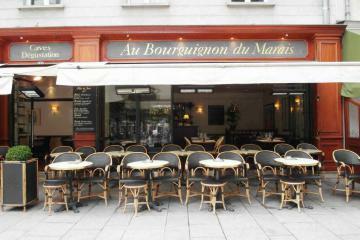 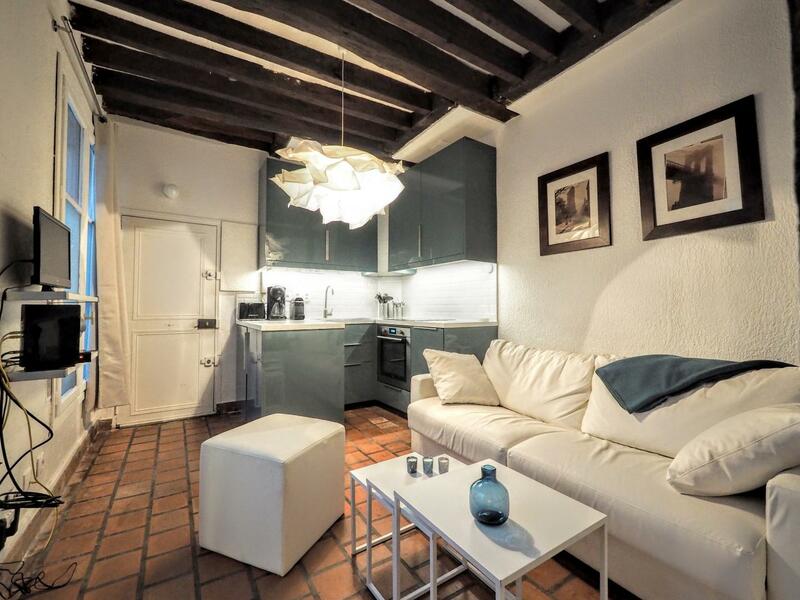 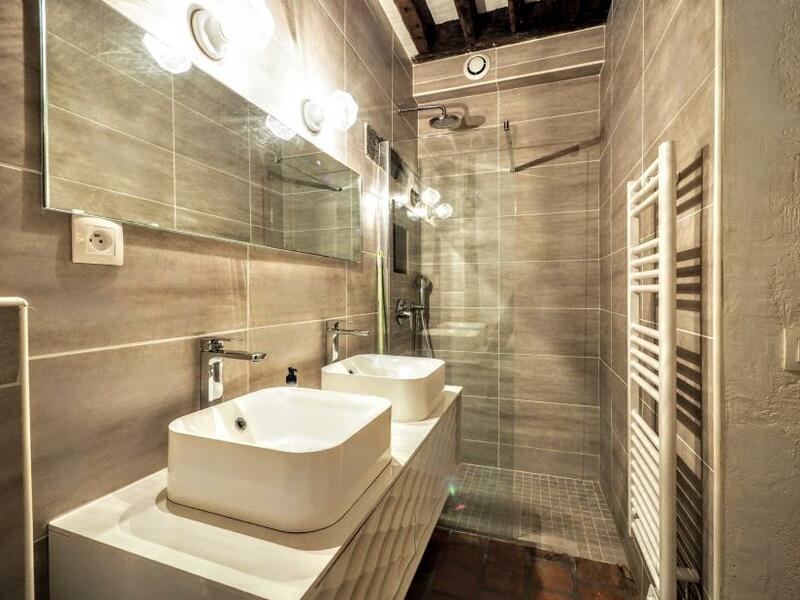 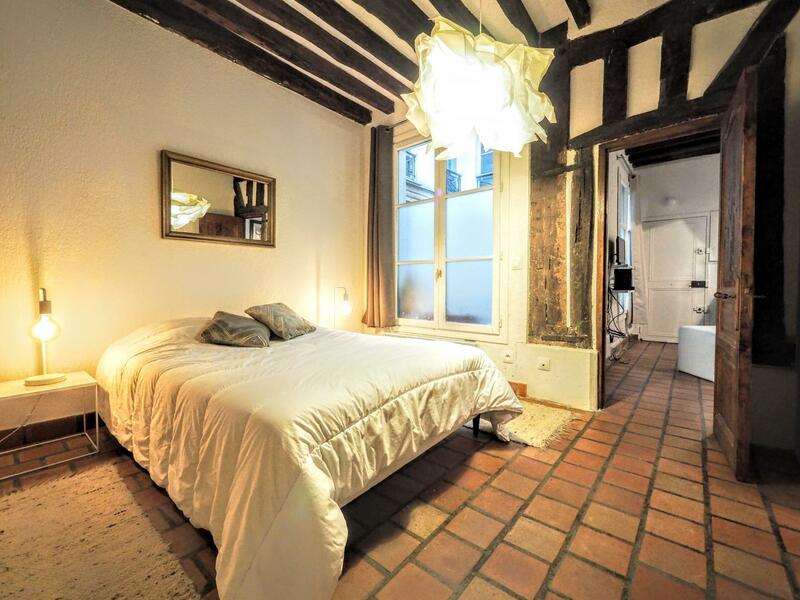 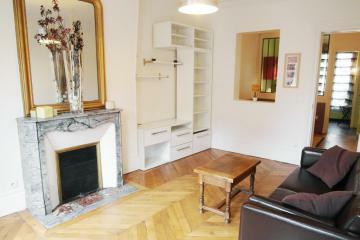 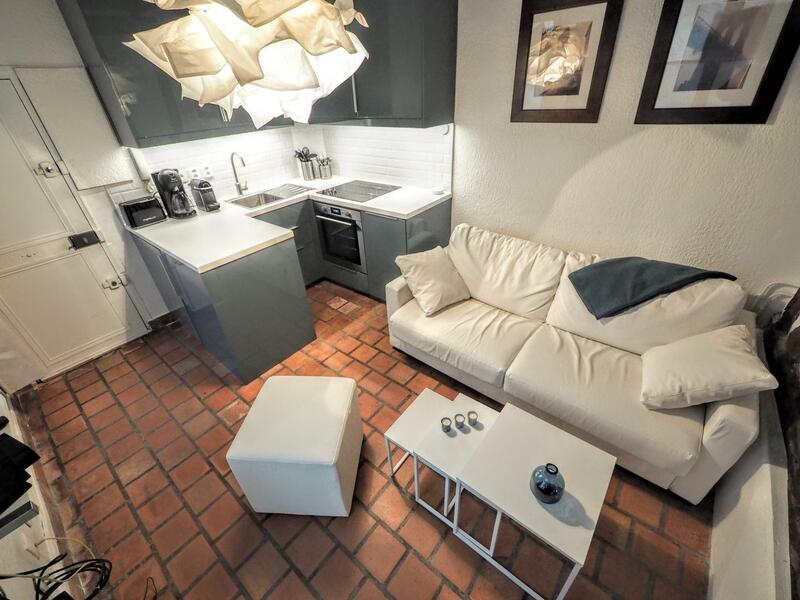 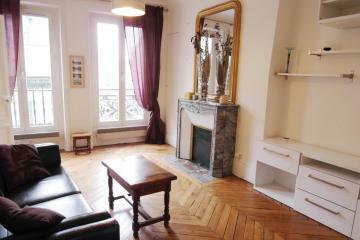 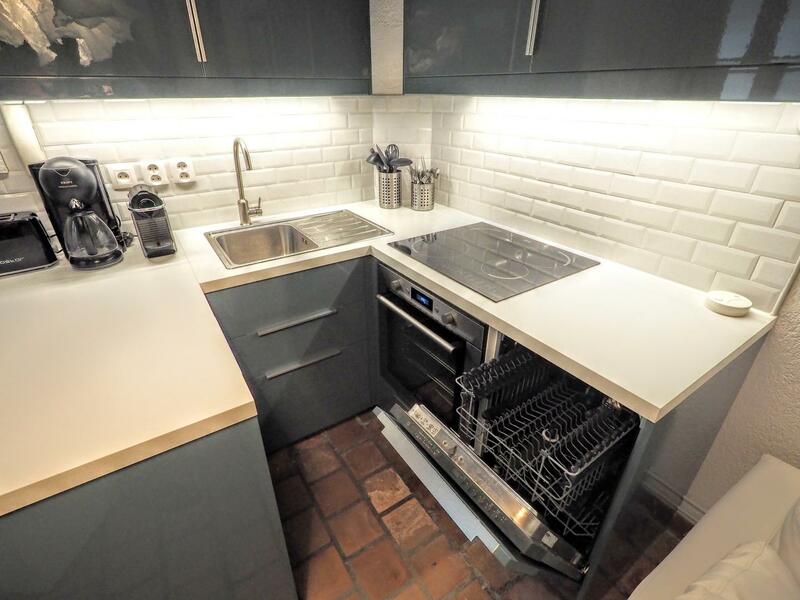 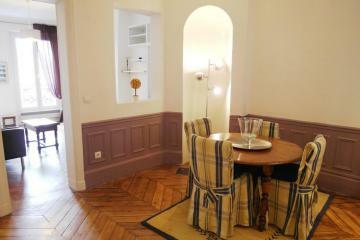 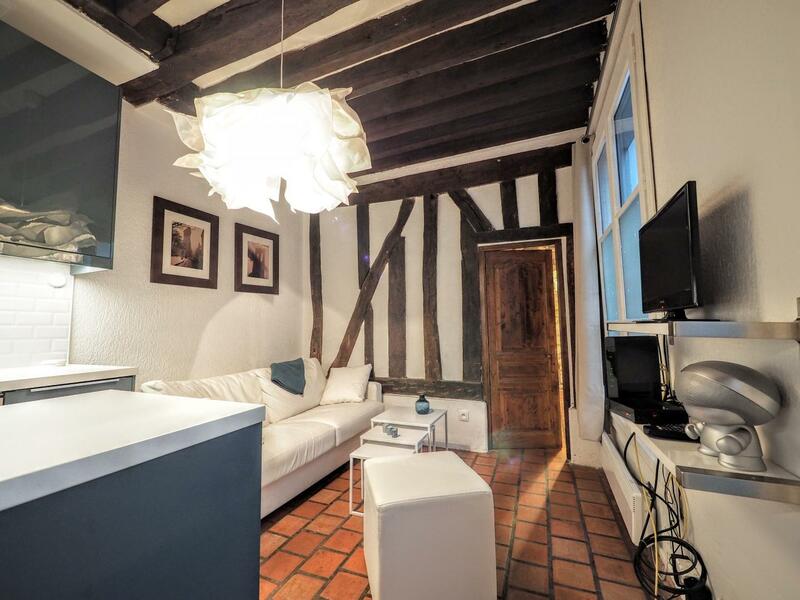 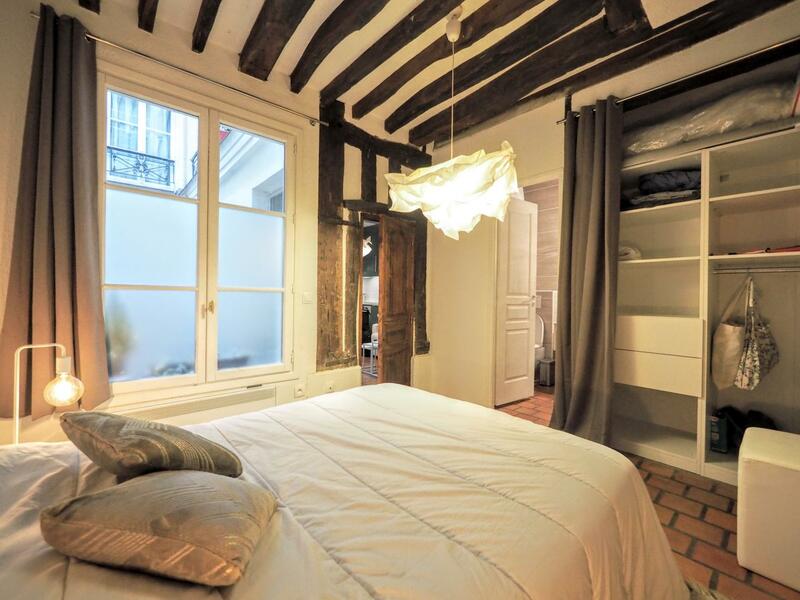 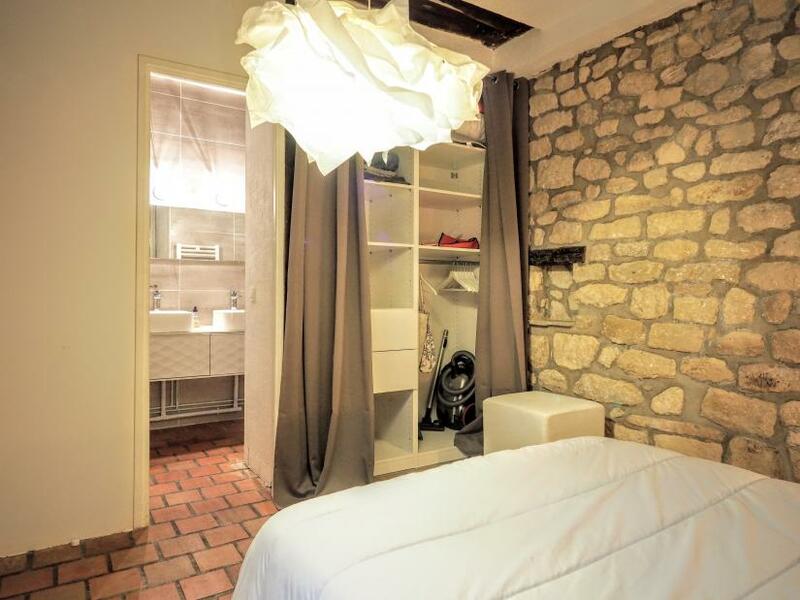 Perfect for a long stay rental in the heart of Paris. 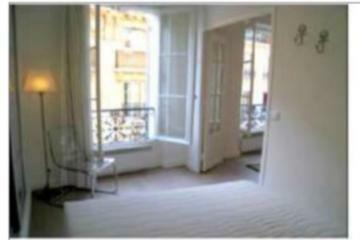 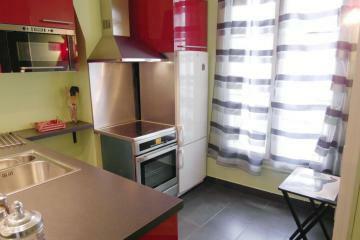 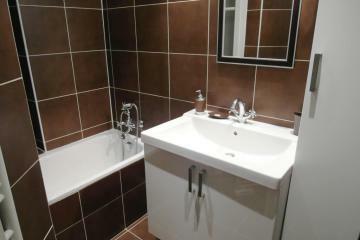 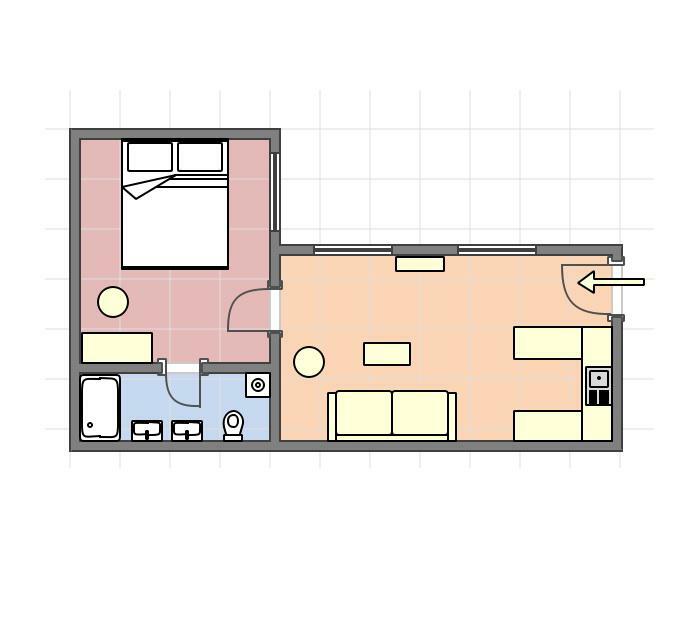 ground floor, without Lift, entry code security system, 1 bedroom Appartement, furnished, Approx: 28m² / 301 Sq.Ft.